A first edition of JK Rowling’s debut Harry Potter novel, which features a rare mistake, is expected to fetch as much as £20,000 when it goes under the hammer at the Bonhams Fine Books and Manuscripts Sale in London on 9th November. The edition, first published in 1997, is one of only 500 hardback copies which contain the mistake. 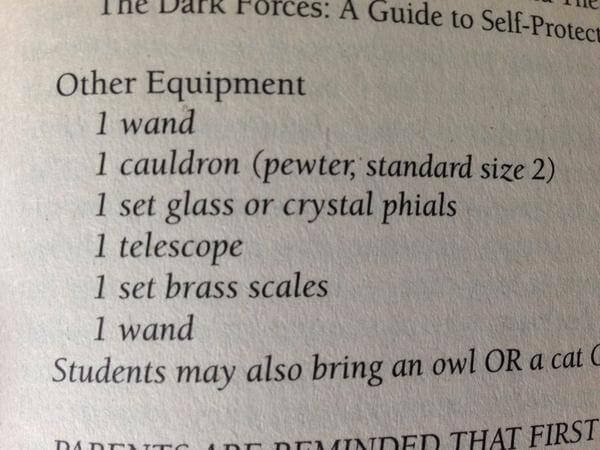 To find out if your copy is one of those coveted few, turn to page 53 and keep an eye out for the repetition of “1 wand” in Harry’s list of Hogwarts school supplies. “As the first book in the series, Harry Potter and the Philosopher’s Stone has a special place in the affections of the millions of readers across the world and the proof reading error about the wand in the first edition has, of course, become a treasured piece of Harry Potter arcana,” Matthew Haley, the Head of Books and Manuscripts at Bonhams said.